How was your day today!? What all did you buy today for Dhanteras?? Well anyways, Diwali is knocking on the door and I am sure you all must be getting prepared for the day! Getting your dress , jewellery , etc ready! But have you decided on your hairstyle!? Well ,fret not cause I have an everyday style for you , a ponytail! 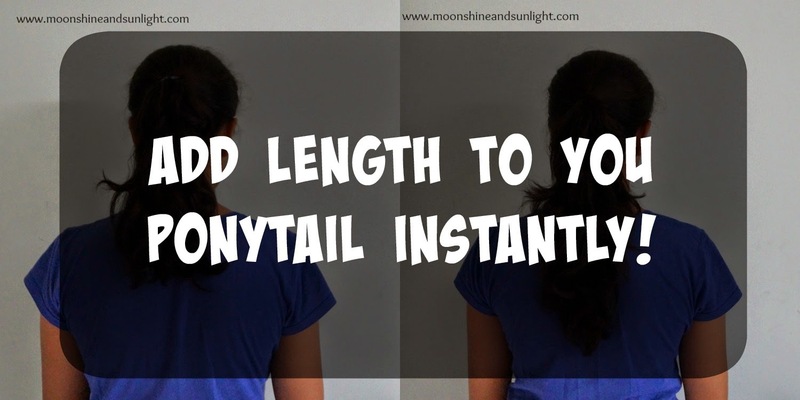 But, you can add a few inches to the length of your hair! Follow the step by step tutorial for an easy Diwali style or everyday style! After all who doesn’t want longer hair! Roughly part your hair, horizontally, in two portions. The upper part with 1/3rd of your hair and the lower portion would be the rest of your hair. 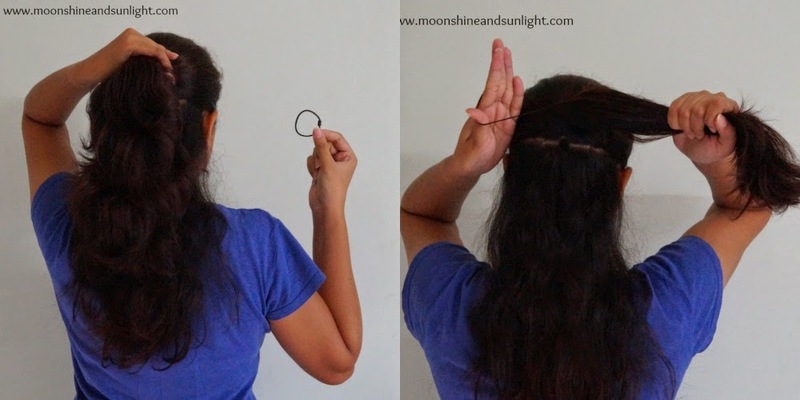 Since this is a normal ponytail, not a low or high, tie the upper portion with one hair elastic tightly (like shown in the picture). 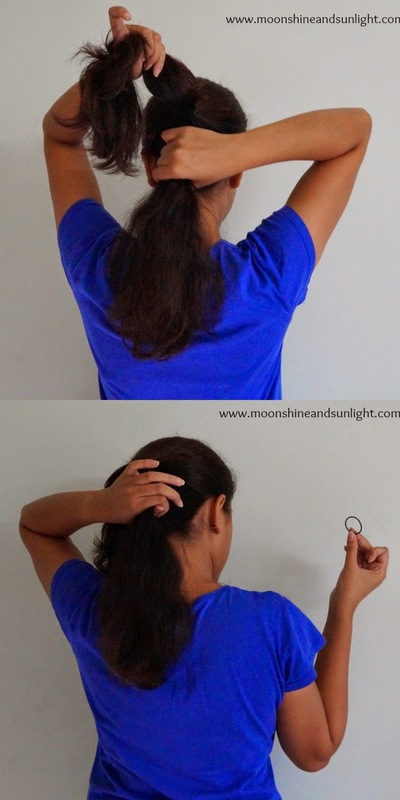 Now gather the lower portion in a smaller ponytail (like shown in the picture) and tie with the other hair elastic. 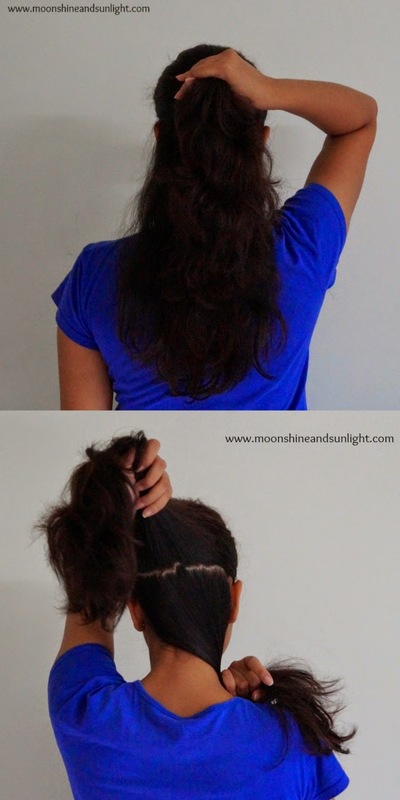 Make sure that you tie this small ponytail just below the upper ponytail. Spread the upper ponytail a bit and you are DONE! 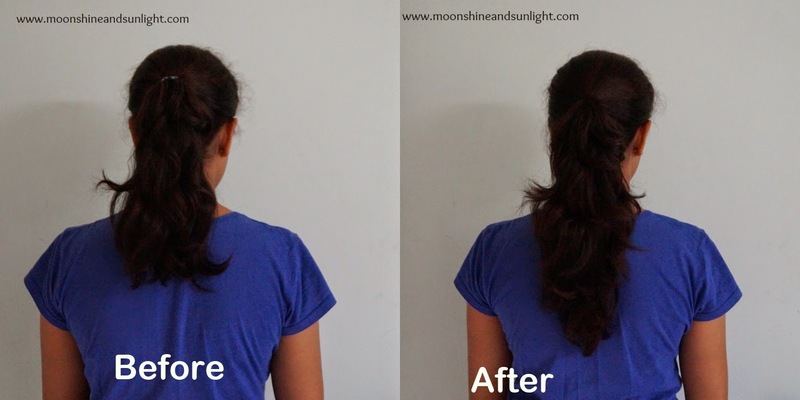 Make sure that you hide the smaller ponytail below the upper ponytail, by spreading the upper one properly! Follow the pictures below! Do let me know if you like this tutorial :D.
Oh do give it a try ! Ehehheheh! Nice trick my dear! Do share a picture too!